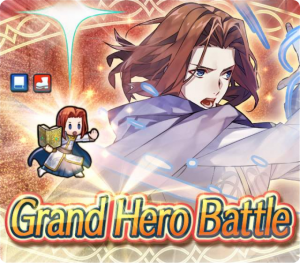 Heroes: Grand Hero Battle: Saias Now Live! A new Grand Hero Battle is now available in Fire Emblem Heroes! Prepare your best strategies to tackle Grand Hero Battle: Saias. You can challenge the famous Jugdrali tactician in three difficulty modes: Hard, Lunatic, and Infernal. Complete all three to earn three copies of Saias, one 3★ and two 4★, and also 2,000 Hero Feathers! 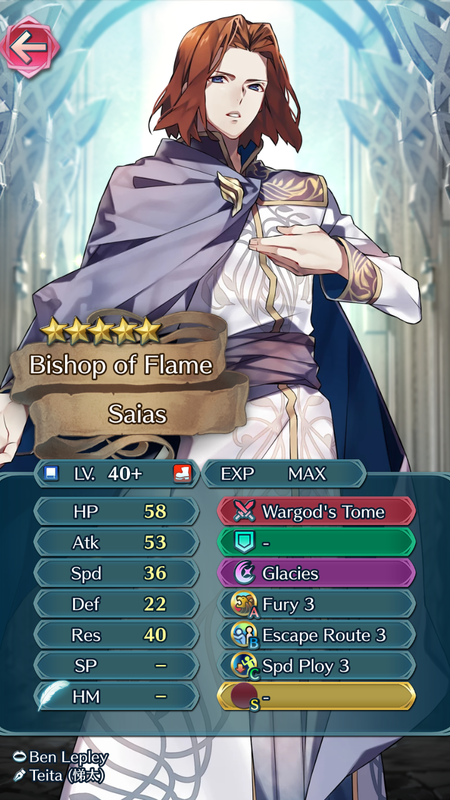 You can also take a look at Saias’s map, stats, and skills below. This information is from the Infernal difficulty map. Grand Hero Battle: Saias will be available for little over a week, ending on 25 April at 6:59am UTC. Additionally, Battle 2 of Grand Conquests is now over. Battle 3 will begin in a few hours. This will be the final battle for this version of the event, so prepare your Conquest Lances and help lead your army to victory! Saias looks to be a good unit. He is very similar to Arvis, but having the Spd Ploy instead of Def Ploy, which is better for him. But Arvis has a exclusive B-Skill, the Recovery Ring, which makes him very unique. 36 HP, 33 ATK, 30 SPD, 18 DEF, 34 RES are good stats. 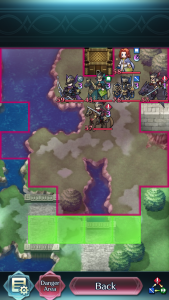 The problem is the blue tome competition. Now, about Camus (Camoo) GHB, I forgot how easy it was! The only thing I struggled with for 2 tries was getting Nino’s res high enough to tank the Glacies. Ike did pretty much everything else with Brave Lucina support. I’m not sure if I’m a fan of the fact that a special charge is the true difficulty here, but at least the tight spaces could trap some players. And 4,000 free feathers is never a bad thing. This GHB wasn’t that difficult, perfect for a 5* F!Takumi if you’ve got one. It’s kind of a shame that GHB lately have been giving us mediocre units, as Saias joins the rank of underwhelming GHB rewards like the previous 3 (Oliver, Lyon, F!Takumi). He makes for a solid debuffer unit, however he lacks the offensive capabilities of other better mages; but unlike Arvis, he doesn’t have that Recover Ring to give him another niche that he can excel at.